On Friday 19th October 2018, there was major flooding throughout Trinidad. One of the hardest hit area was in the Tunapuna/Piarco Region and the Rotary Club of St Augustine mobilised Rotarians, Rotaractors, Interactors, members of the business community and friends of Rotary working with the Tunapuna Piarco Regional Corporation to provide thousands of meals hours after the flooding and also food, cleaning and medical hampers. We also provided mattresses, clothes, stoves and refrigerators to affected families and assisted other Rotary Clubs by donating supplies for their affected areas. 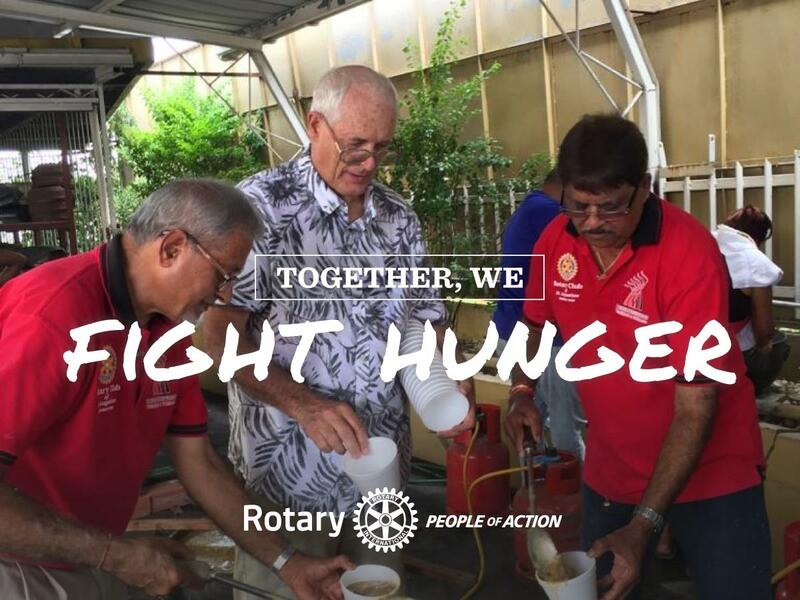 The Club plans to continue to work with the Tunapuna/Piarco Regional Corporation, other Rotary Clubs and the business community to assist with disaster response for the region.